Public authorities are concerned about environmental and human risks related to pollution, specially with gas emissions. But other kind of pollution also dramatically affects cities and inhabitants health. Noise pollution is increasing in urban areas mainly caused by the transport impact, civil works or the industry. In fact, the World Health Organization (WHO) has stated that noise pollution is the second cause of illness for environmental reasons, after air pollution. The report explains how harmful for health is traffic noise that is currently affecting one in five Westerners that are regularly exposed to sound levels at night. The new Noise / Sound Level Sensor for Plug & Sense! 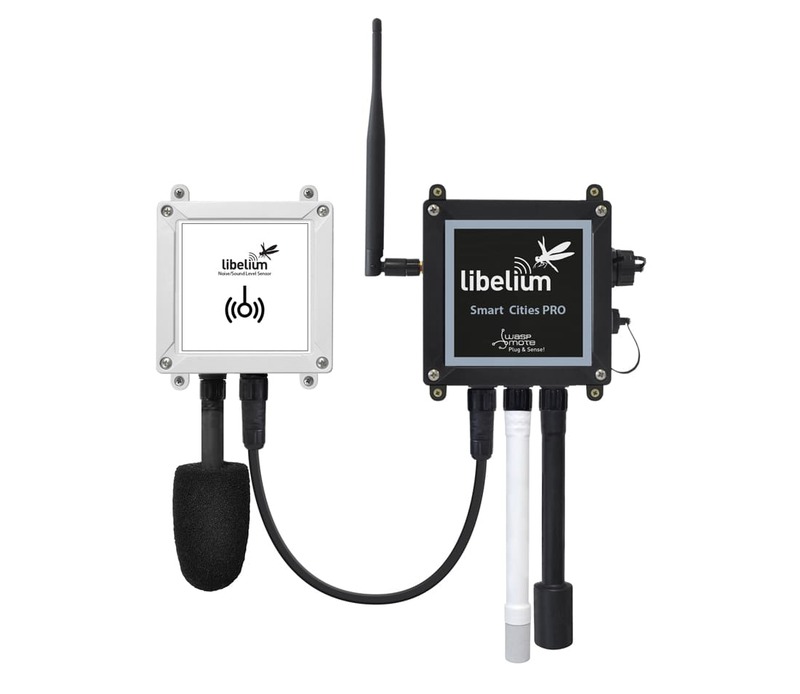 has been designed following the specifications of the IEC 61672 standard for sound meters. 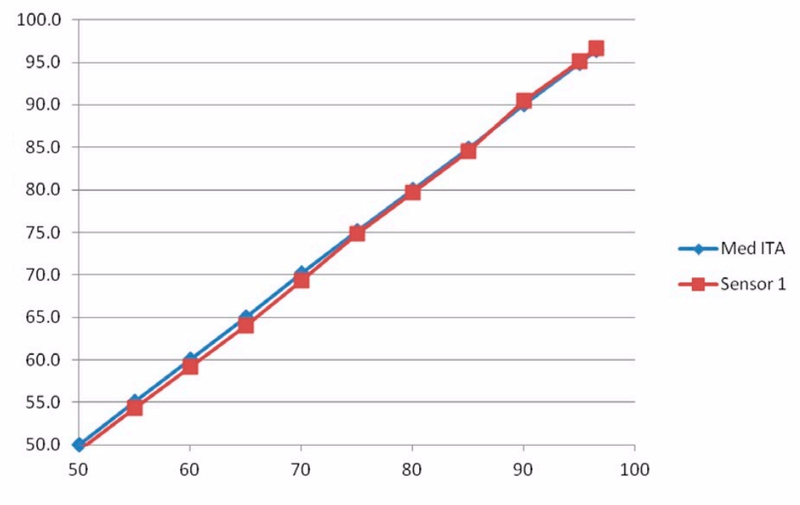 Specifically with an accuracy of ±0.5 dBA (1KHz) similar to the Class 2 type devices. The value given is the LeqA (Equivalent continuous sound level, with A weighting) that allows to calculate the average sound pressure level during a period of time. Leq is often described as the average noise level during a noise measurement and it is the magnitude used for many regulations of noise control at work places and the street. In order to ensure the high quality of the Noise / Sound Level Sensor, each device is verified in an independent test laboratory. Tests are performed inside an isolated anechoic chamber. The sound sensor probes are exposed to 5 different levels of white noise, created by a specialized sound generator and a cutting-edge, omni-directional speaker: 55, 65, 75, 85 and 95 dBA. The exact level is confirmed by the technician with a certified IEC 61672 soundmeter, placed at the same distance from the sound source than the 16 sensors. For each noise level, the output of each one of the 16 sensors is captured by a software system. 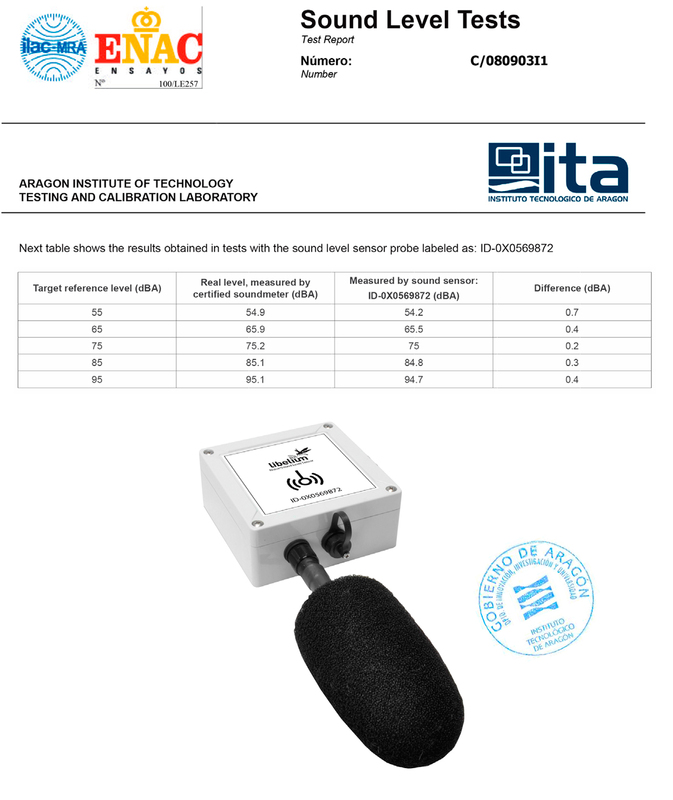 After those tests, an official test report is issued by the laboratory for every Noise / Sound Level Sensor, so the customer can verify the accuracy in dBA at different frequencies for each sound level probe. See below an example of this document. 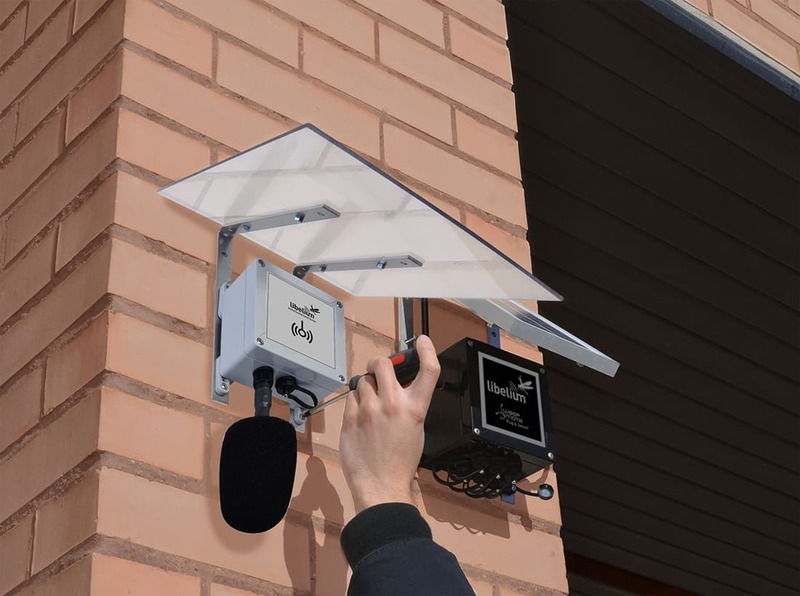 The Noise Level Sensor can be installed outdoors in a streetlight or directly on a wall as it counts with a waterproof microphone. 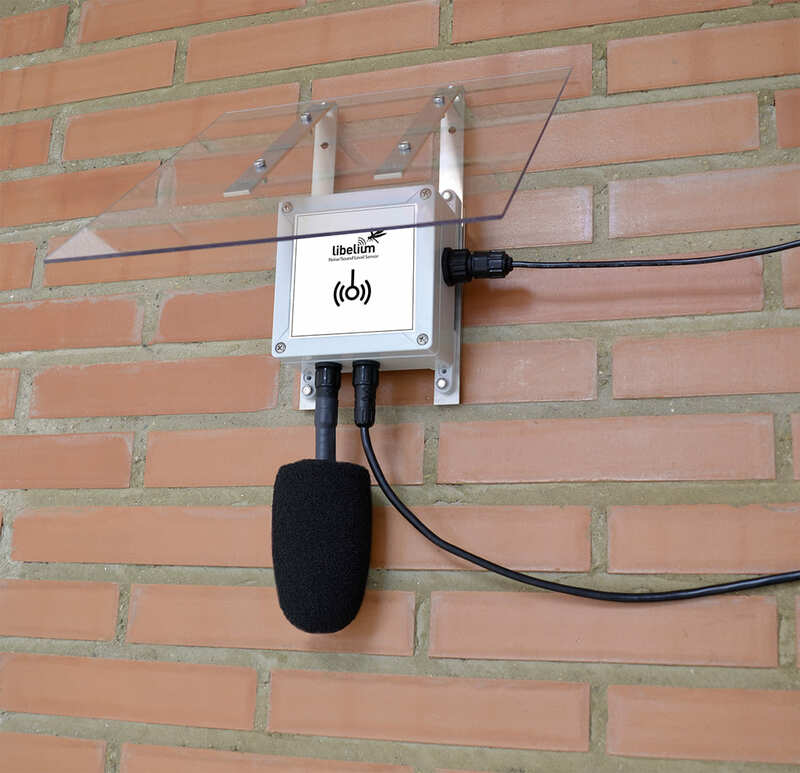 A protection cover is provided to protect the microphone from direct rain.